Richmond was an important city in developing the colony of Virginia. It is located along the James River. It was chartered as a town in 1742 and was governed by the House of Burgesses. Albany, New York is located on the Hudson River. Albany was first set foot in by Henry Hudson in the early 17th century and the first settlement was in 1614 and it was set up as a trading post. New York was a Dutch colony. The first inter-colonial convention was held in Albany in 1689. 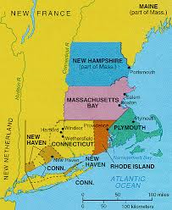 Plymouth was first settled in 1620 by settled by Puritans that were escaping the Church of England. Though conditions were harsh, especially in winter, the settlers were able to trade with Native Americans and learn how to plant crops in the area. The James River runs through Virginia. It is about 350 miles long and empties into Chesapeake bay. It was important because it was the river supporting the settlement at Jamestown. The Delaware River is a river along the coast that drains into Delaware, New York, New Jersey, Pennsylvania and Maryland. It empties into the mouth of the Delaware Bay. area was first explored by the Dutch in 1609. It provided way for easy travel for commerce and building settlements and forts along the river. 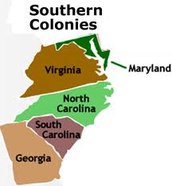 Both Georgia and Pennsylvania were experimental colonies, for different reasons. Georgia's main purpose was to serve as a barrier from the Spanish and French. Georgia bordered colonies ruled by the Spanish and French. Poor men were sent to settle Georgia. 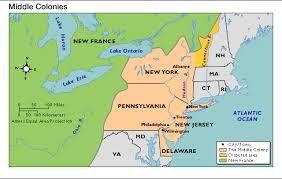 Pennsylvania was established as an experimental colony in order to concentrate Quakers. 2. Describe William Penn's vision for Pennsylvania. William Penn referred to Pennsylvania as a "holy experiment." This was because in terms of religion it was far different from the other colonies. It was largely inhabited by Quakers, who were a group that were highly tolerant of many denominations, and therefore were not entirely focused on religion but more so on economic development. 3. What was the name of New York City prior to English control? Prior to the English gaining control of NYC, it was called New Amsterdam. The Dutch gave it that name as they were the first to discover and gain control of the colony. The English changed the name, naming after the Duke of York. 4. How did the English divide up New York? The North and South Carolinas were found to have fertile farmland. Tobacco was able to be grown in abundance in these colonies and was easy to make a profit off of.